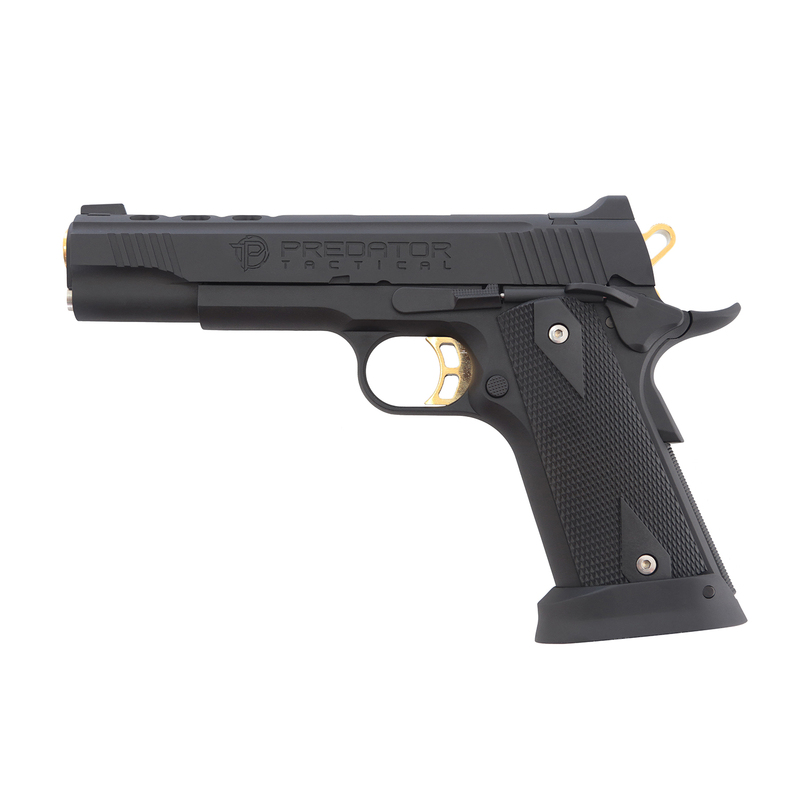 - Metal constructed slide and lower frame provides rigid structure of the pistol. 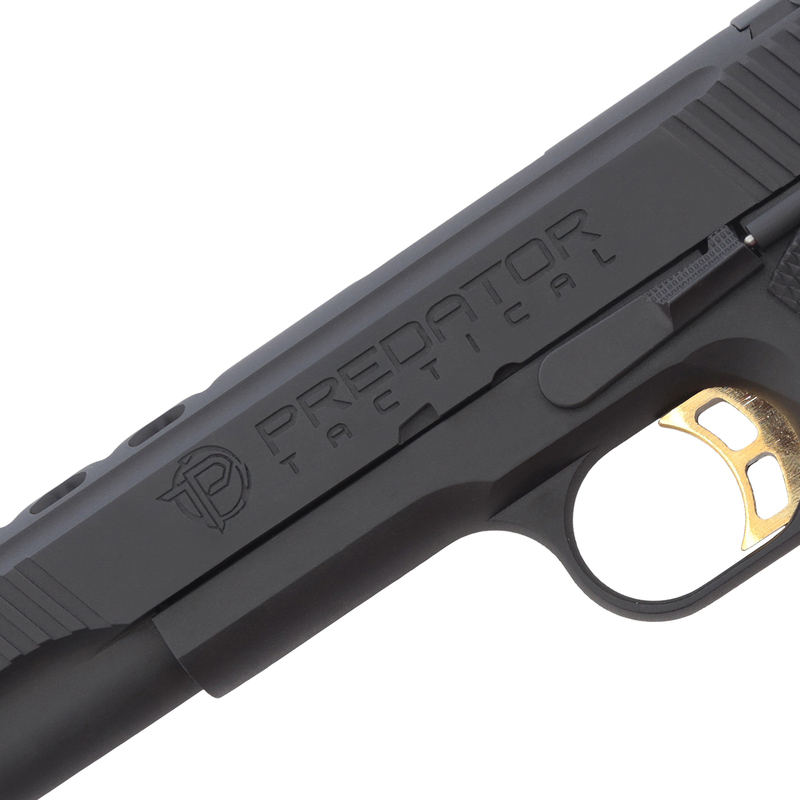 Deep in licensed Predator Logo and anti-slip slots on the slide gives every cocking efficiently. - Precise CNC machined internal and surface. It makes a tight fitting of the upper and lower frame but slide move smoothly. 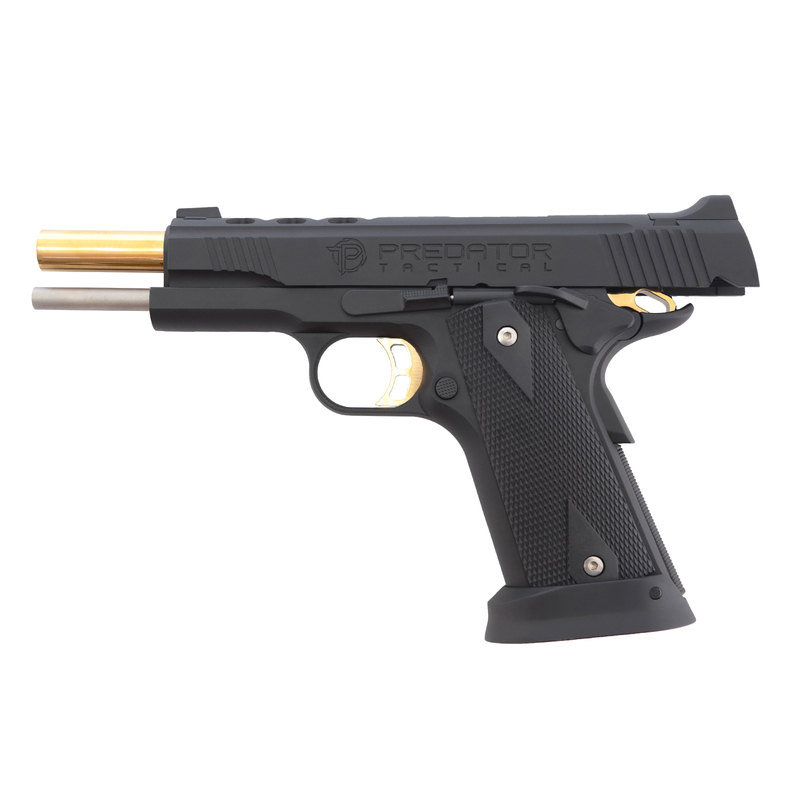 - Eye catching chrome one piece outer barrel with .45ACP marking together with chrome hammer and trigger, makes it have a unique and luxury looking. 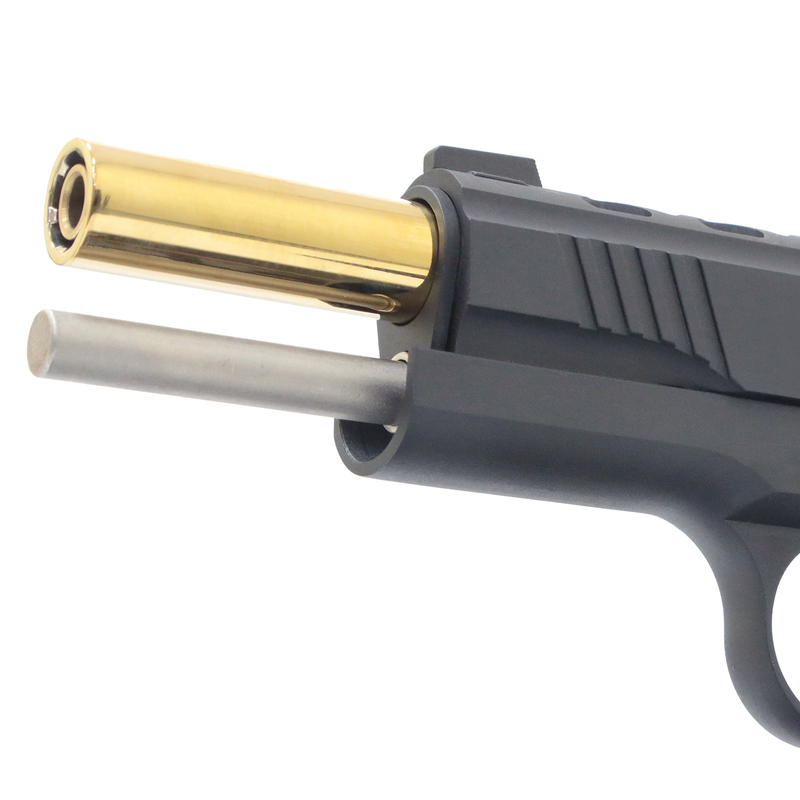 - Smooth and precise brass internal barrel in the length of 113.4mm and 6.05mm diameter. Makes the shooting trajectory constantly precise. - Double mechanisms give a superb safety of use. 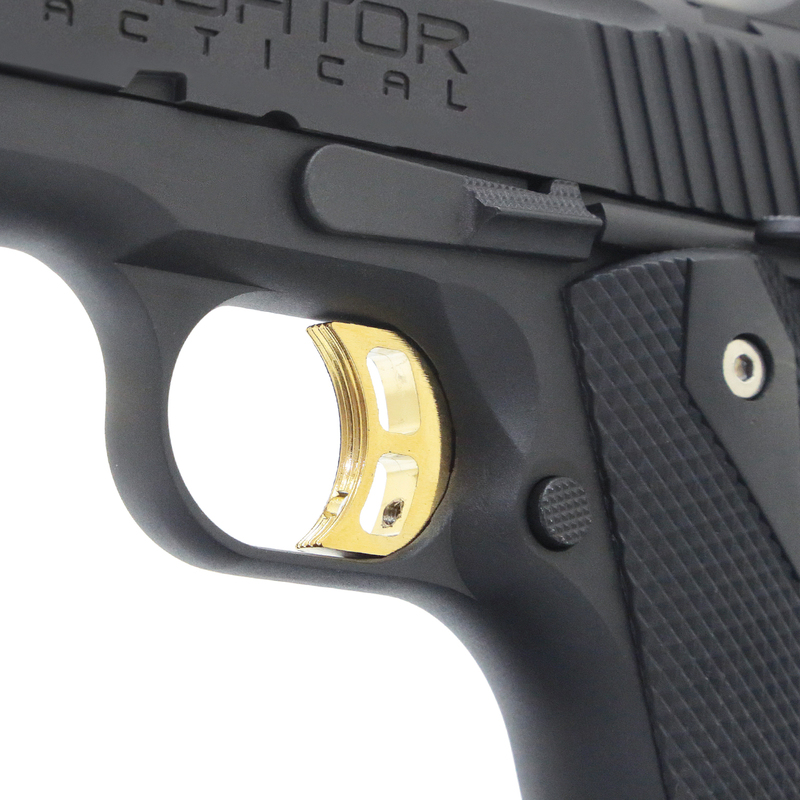 - The ambidextrous slide-lock locks up the slide and the trigger when not ready to fire. - The functional metal beavertail grip safety enhance the safety from misfiring. Shooter have to grip the pistol properly and tightly when triggering. Otherwise the trigger will be locked-down. 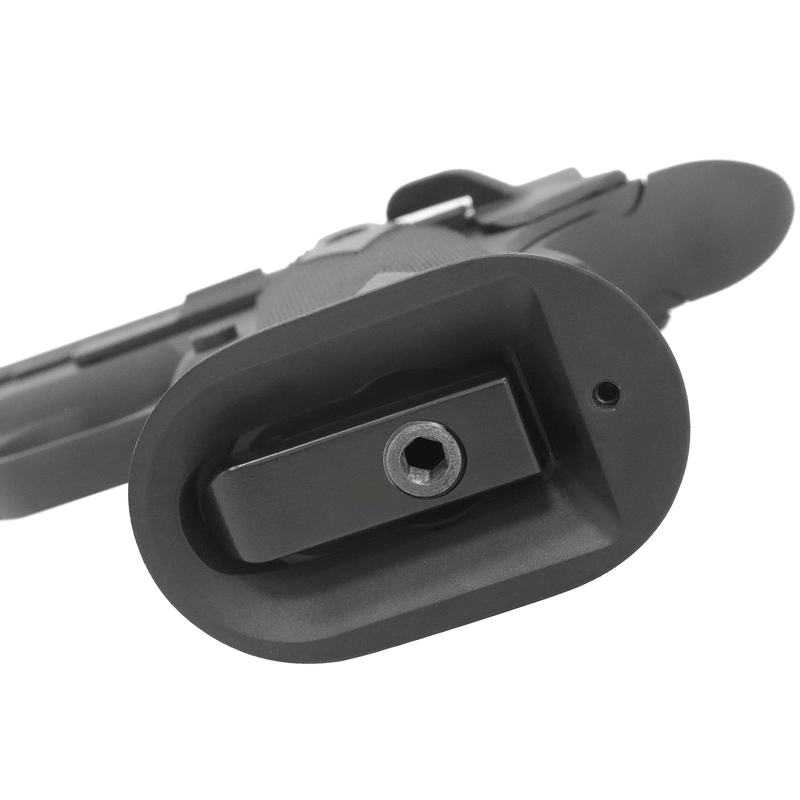 - The metal fixed front sight and rear sight helps shooter acquire the target quickly. These sights are replaceable and allow users custom it from aftermarket sights. 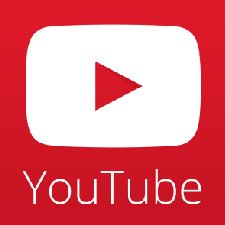 - Non-slip patterned grip cover are replaceable. 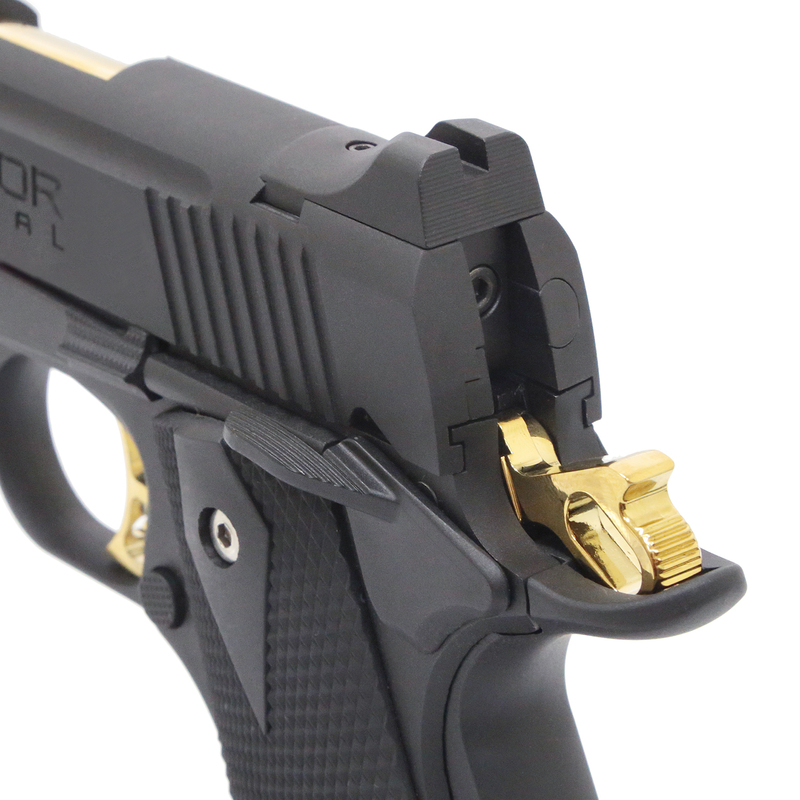 There are ton of selections from the market for styling the pistol easily. 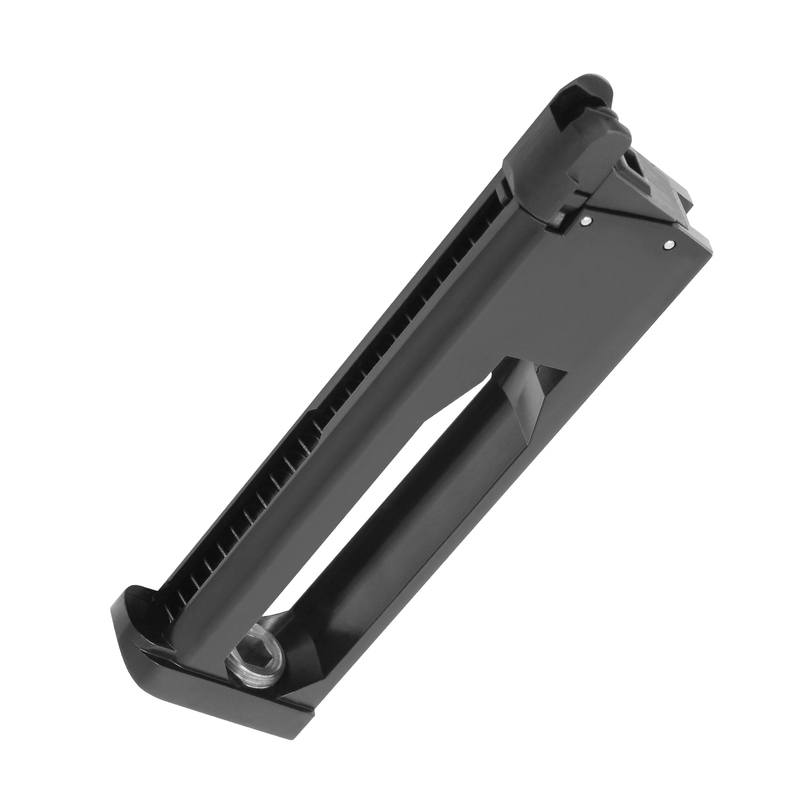 - Glossy black metal magwell become a standard parts in this series, it helps shooters grasp the pistol in correct position accurately and quickly. 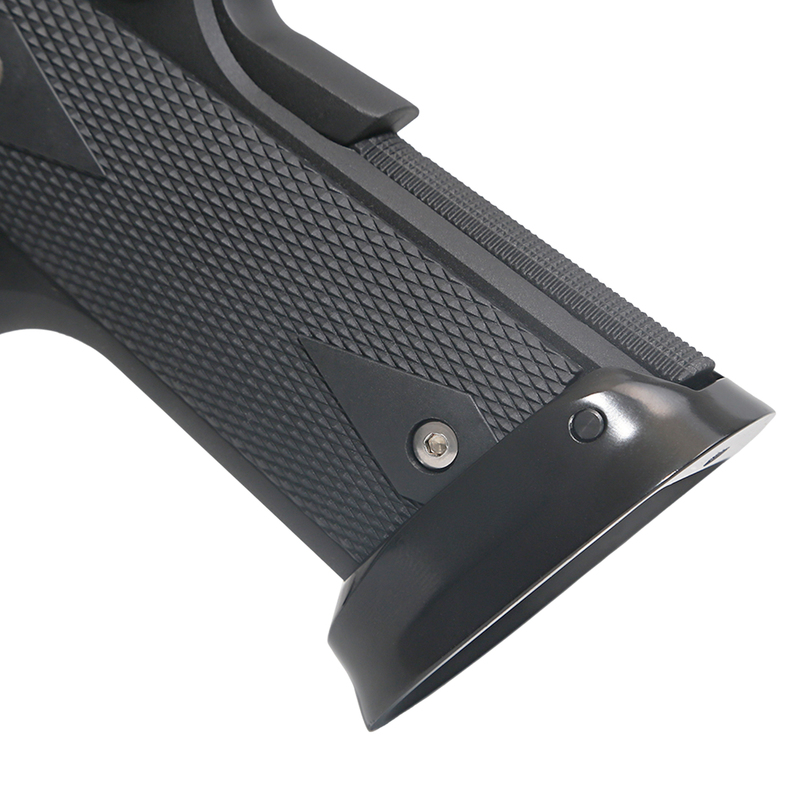 On the other hand, widened magazine inlet let the magazine changing fast and precise with confident. - King Arms 20 rounds 1911 CO2 pistol magazine with polished finish. 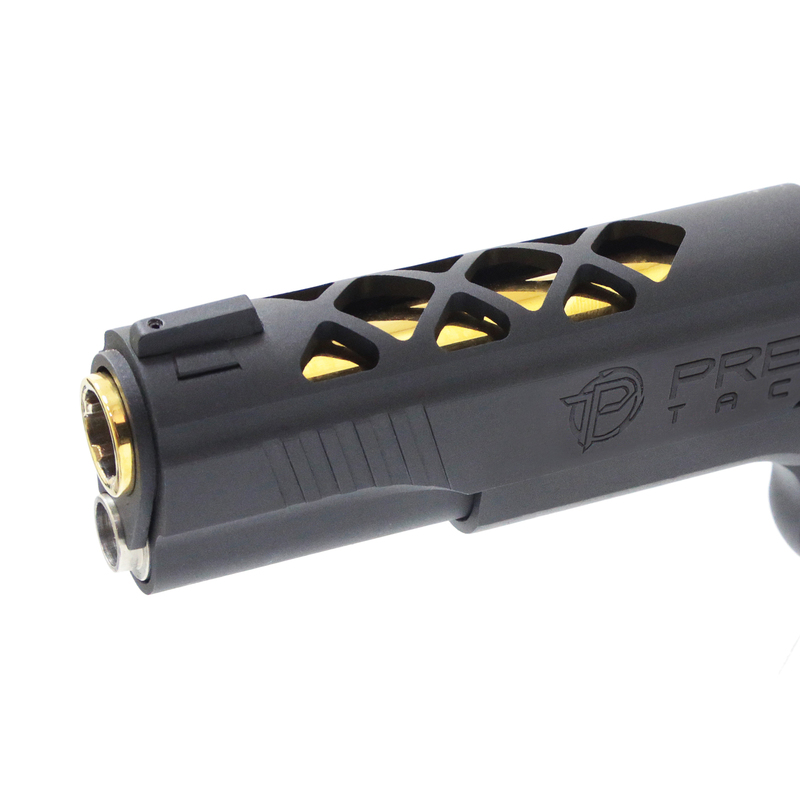 - Thick version base pad for faster and easier reloading. 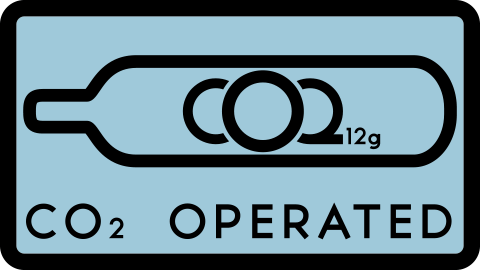 - Compatible with Tokyo Marui / KJ Works 1911 series airsoft CO2 pistol. - Good sealing inlet valve, outlet valve and air transfer channel avoid from gas leakage. It offers more power and harder blowback recoil. - Adjustable hop up let users fine tuning their precise shooting range. User can replace difference hop up rubber from aftermarket parts at their preference. - Stainless steel spring guide and spring guide rod provides a corrosive resist, solid, and stable recoil system. 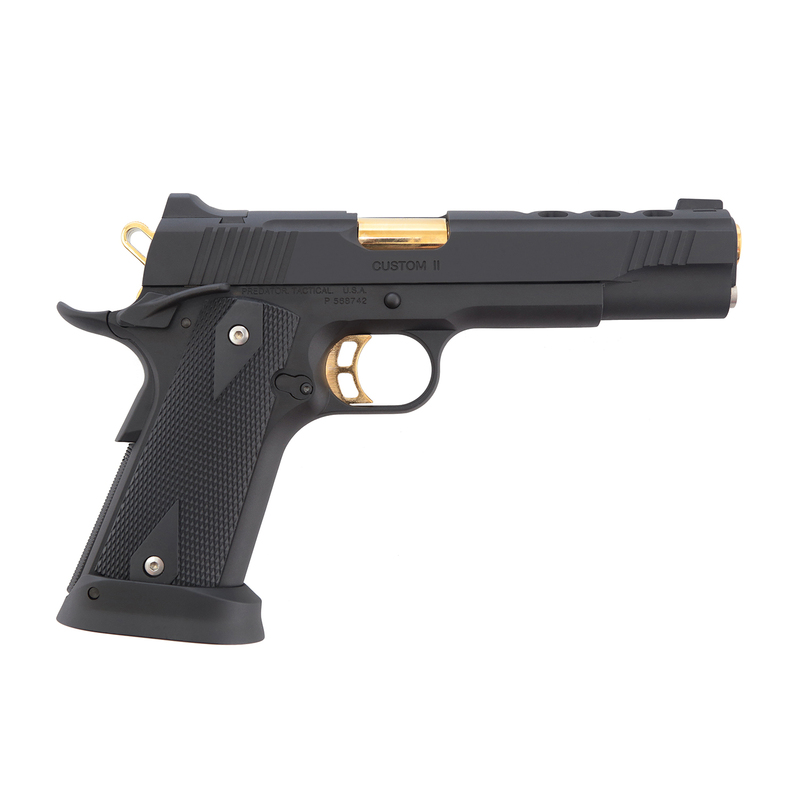 - This pistol series available in 9 models. Combine with difference color and slide designs. Should have one matching your style. - Other parts such as barrel bushing, magazine catch and slide locking rod are all made by metal.